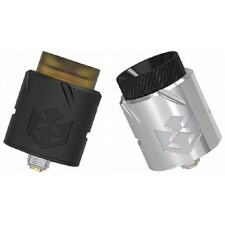 Vandy Vape Paradox is a 24mm diameter Squonk RDA. It features a new annular airflow design. 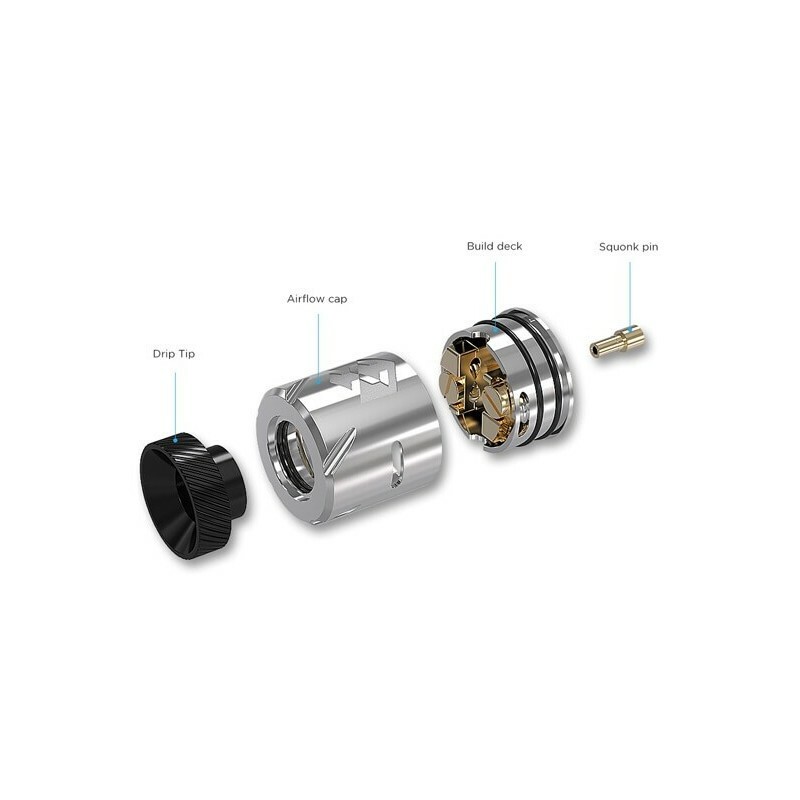 The air flows into the annular structure and converges in the middle of the RDA and then to your mouth. 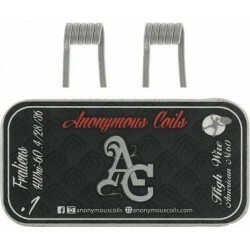 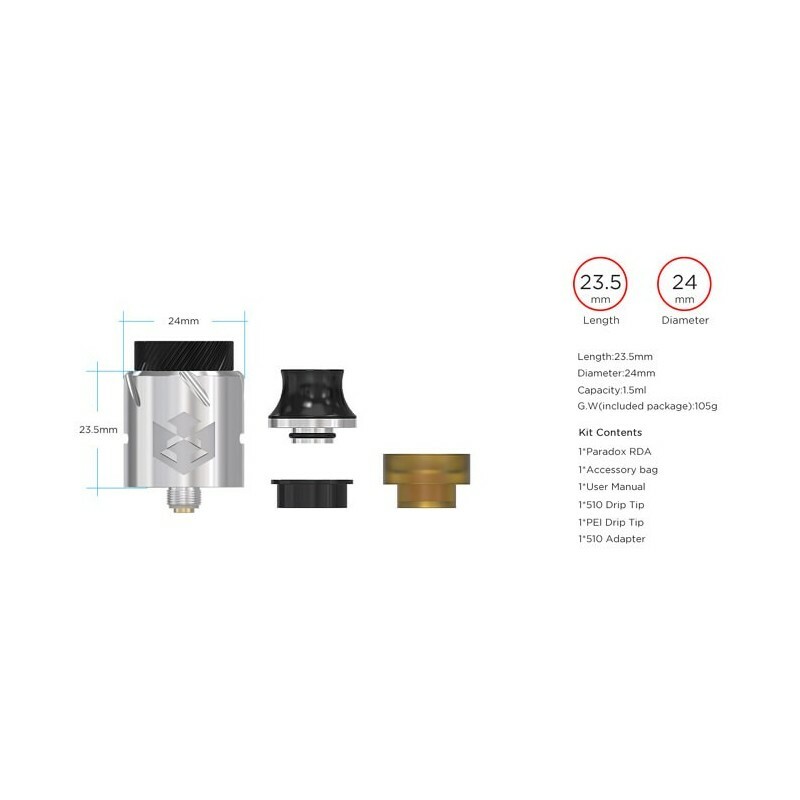 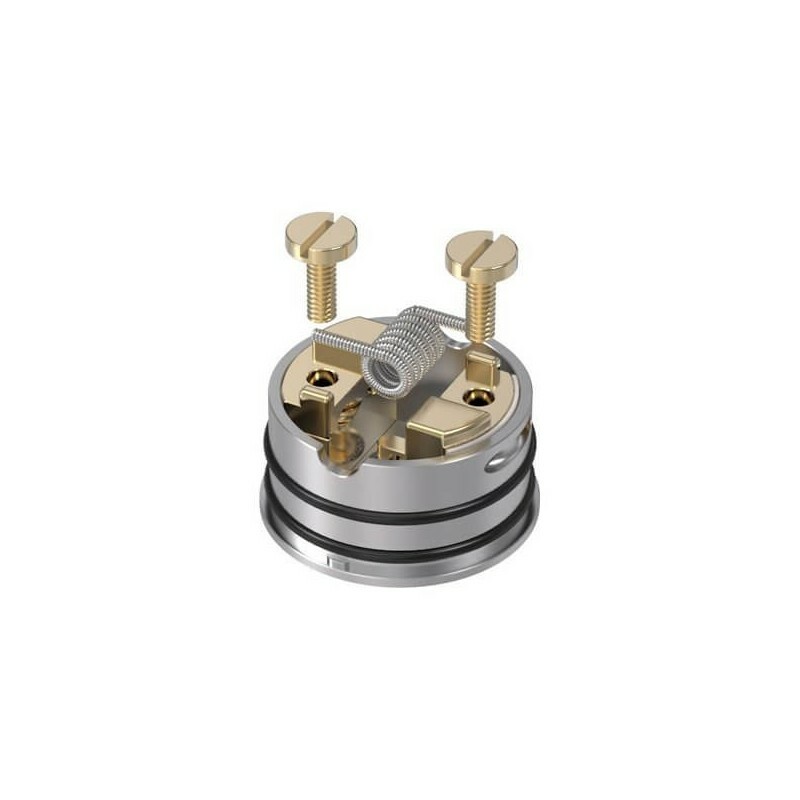 It features a single coil post deck with clamps system (big head screws) and gold covered has a big coil building space IMO we have enough space for 4-5mm coil head, also has deep juice well of 1.5ml capacity. 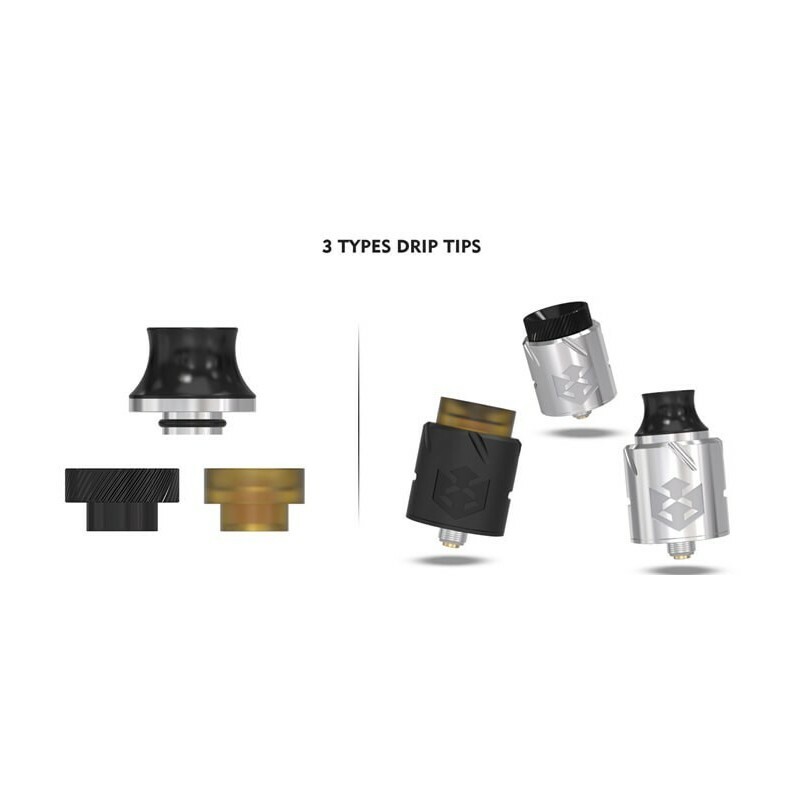 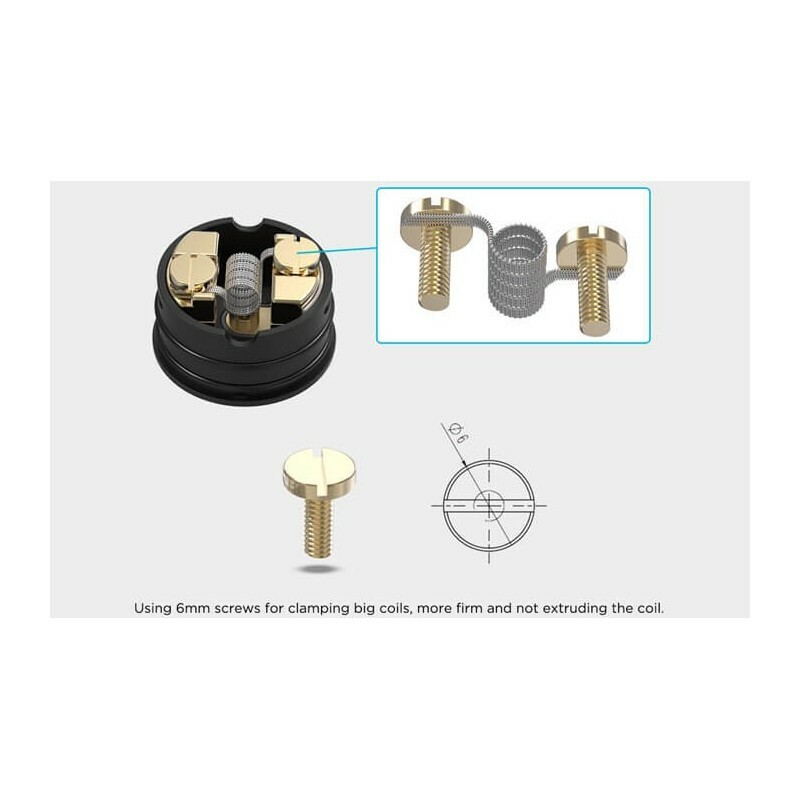 In the package you will found three drip tips. 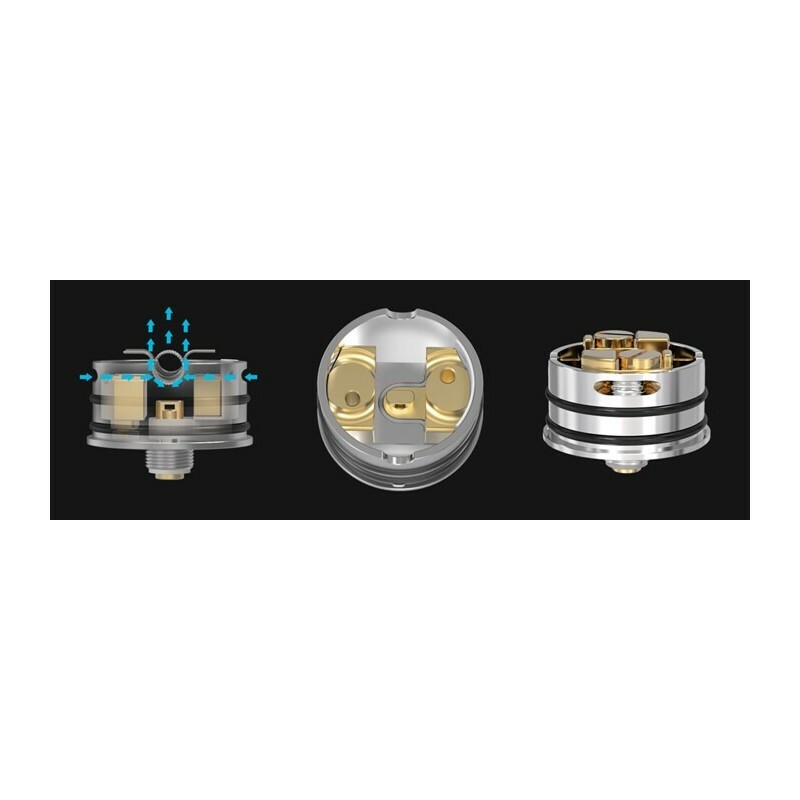 Beause of the new annular airflow we reckon we have the dense flavor and large vapor amount.